It’s that time again! 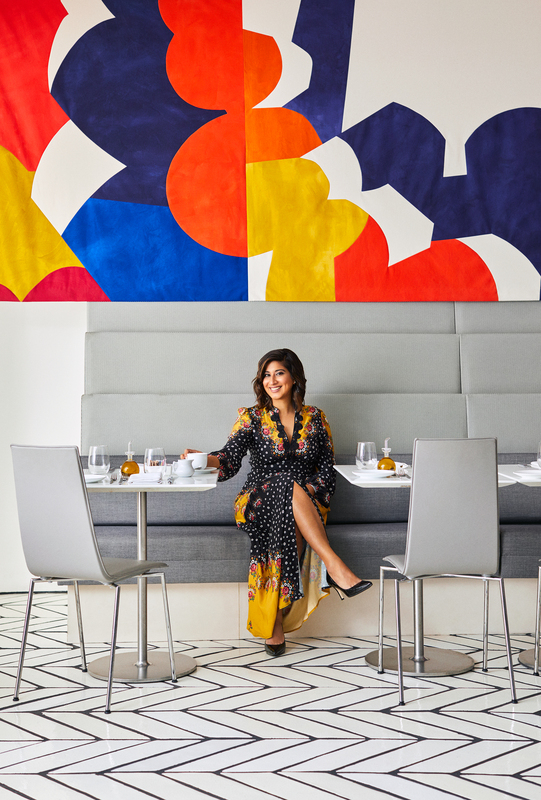 We turned to one of our favorite tastemakers—PAGODA RED founder Betsy Nathan, to get her take on the trends most likely to take the design world by storm in 2019. Below are the five she’s finding most inspiring for the new year. If you notice a theme in this year’s round-up, it might be that these trend picks don’t feel, well… trendy. Though each one is very much “in style,” they’re also timeless in a way that transcends the confines of the current moment. As people push back against a culture of disposability, they are seeking out special objects with rich histories. Even in the most modern, minimalist interiors, pieces with timeworn finishes bring a sense of warmth, humanity and gravitas. With age comes a special kind of quiet beauty, accrued over many lifetimes. Memorable pieces are imbued with their own meaningful stories, which can be felt. 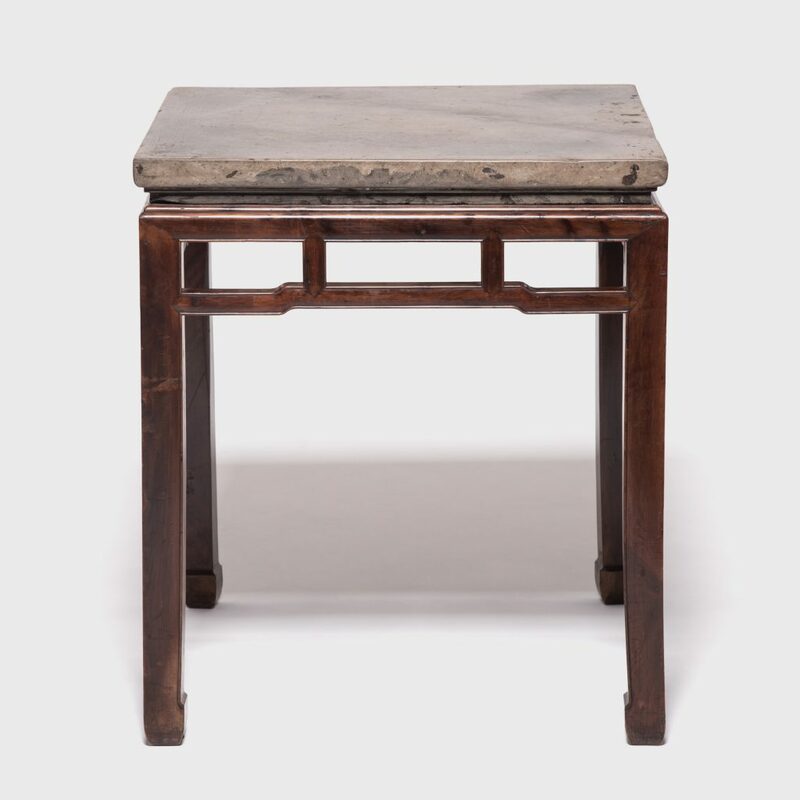 Made of wood reclaimed from 18th-century Chinese buildings, this contemporary altar table honors its materials with clean lines and minimal ornamentation. 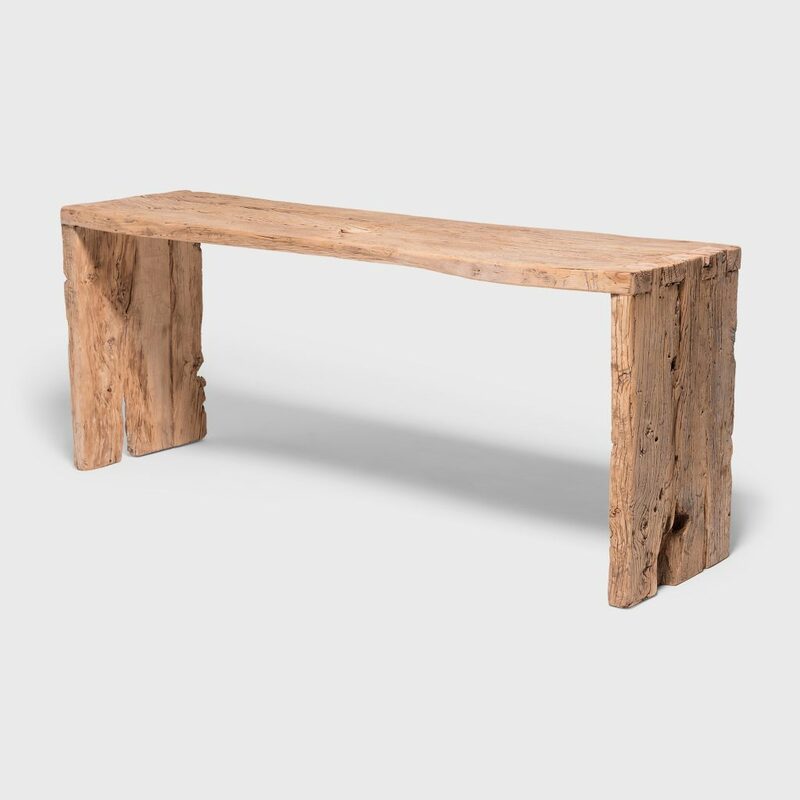 Skilled in traditional joinery techniques, our craftspeople have fashioned a simple waterfall table that brings forth the expressive grain and raw texture of the vintage elmwood timber. The made-to-order table charms with its irregular surface, mottled color, and fascinating array of knots, splits, and nail holes. The cabinet above is an exquisite example of 17th-century mortise and tenon joinery. It features two paneled doors attached with small barrel hinges, a reference to cabinets thousands of years older. Notably, this masterfully made cabinet was originally lacquered both inside and out. 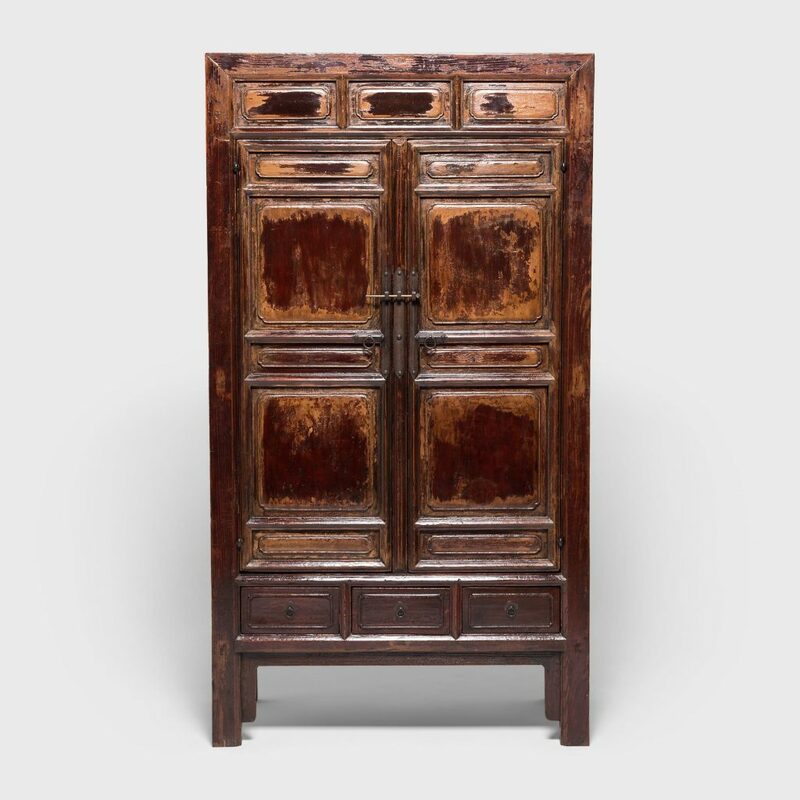 The aged lacquer has a wondrous patina which heightens the piece’s spectacular character. In a climate of fast-paced change, when it’s difficult to find moments of calm, courtyard gardens appeal to our desire to turn inward and seek solace. From Mexico to China and Japan, courtyards are are rooted in the traditional residences of monks and scholars, but remain popular, thanks their low-maintenance, human-scale appeal. 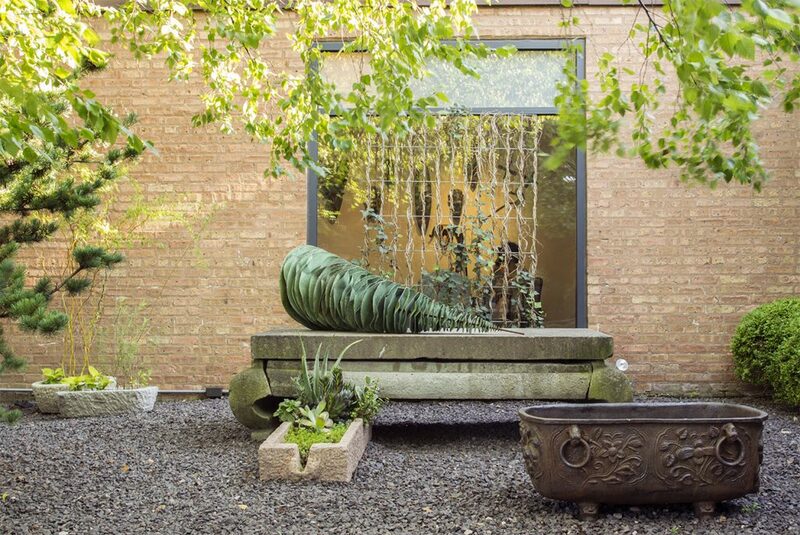 A courtyard garden designed by PAGODA RED, featuring a selection of stone troughs, a stone bench, and a cast iron basin. Even in homes without natural enclosures, a courtyard-style garden can be created with the addition of lattice panels or containers. They can be especially lovely in warm climates like Los Angeles, where indoor and outdoor living is seamless. The pair of courtyard panels above, boasting geometric lattice screens evoke life in a traditional courtyard home. The lattice pattern is linear and open, allowing light and air through while maintaining a peaceful solitude. We’d love to see these placed outside of a ground-floor window to offer privacy screening, along with a beautiful backdrop for plantings. 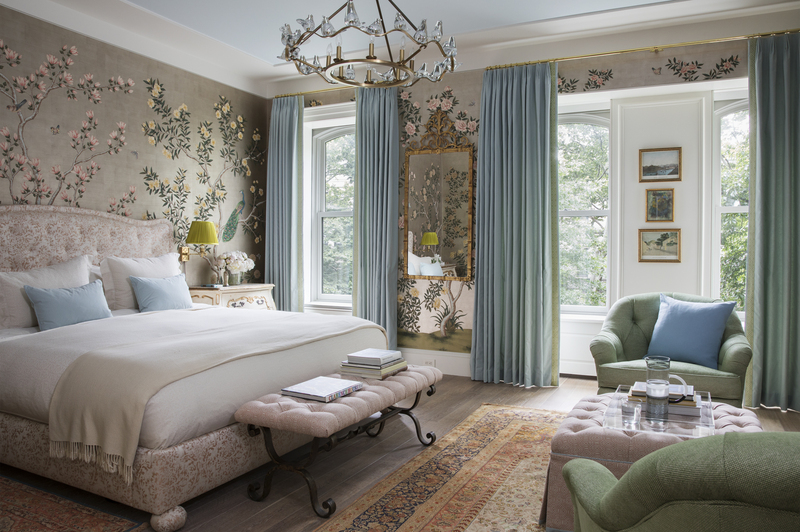 Both a restrained aesthetic and an antidote to ascetic minimalism, this approach applies custom artistry to the bones of a room —walls, floors, trim, and hardware. Luxe craft interiors favor handmade, tactile materials like lime-wash plaster walls, lacquered doors, artisan-made tiles, and vintage fixtures. 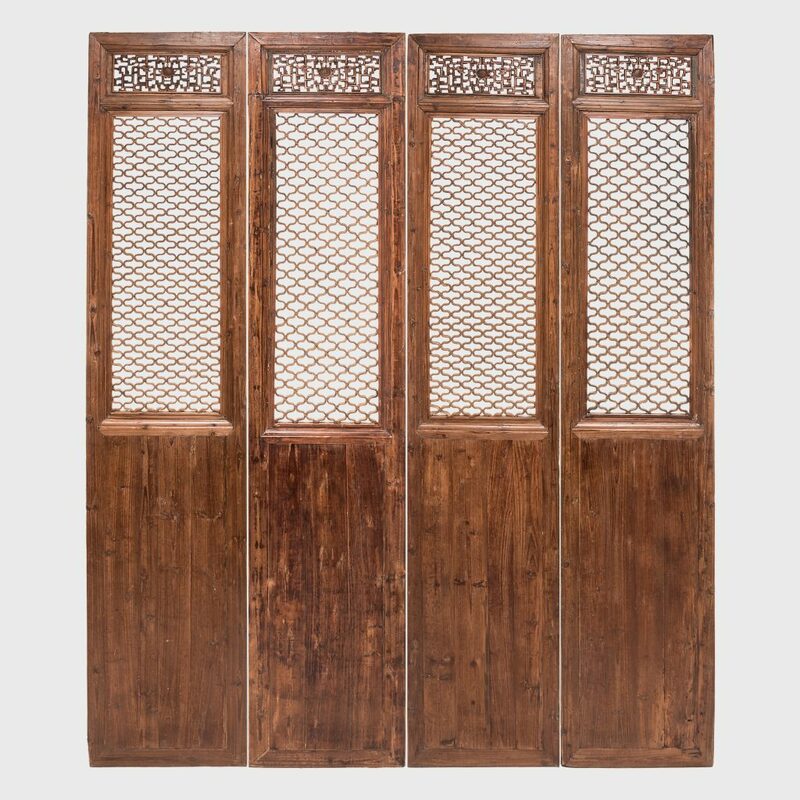 The aesthetic hearkens back to a more ancient form of minimalism, such as that of Ming Dynasty China, when seemingly simple furniture pieces were the result of complex mortise-and-tenon craftsmanship. This narrow table would have been favored by a Chinese scholar for its well-executed curves, gracefully arched like the sweep of a calligraphy brushstroke. 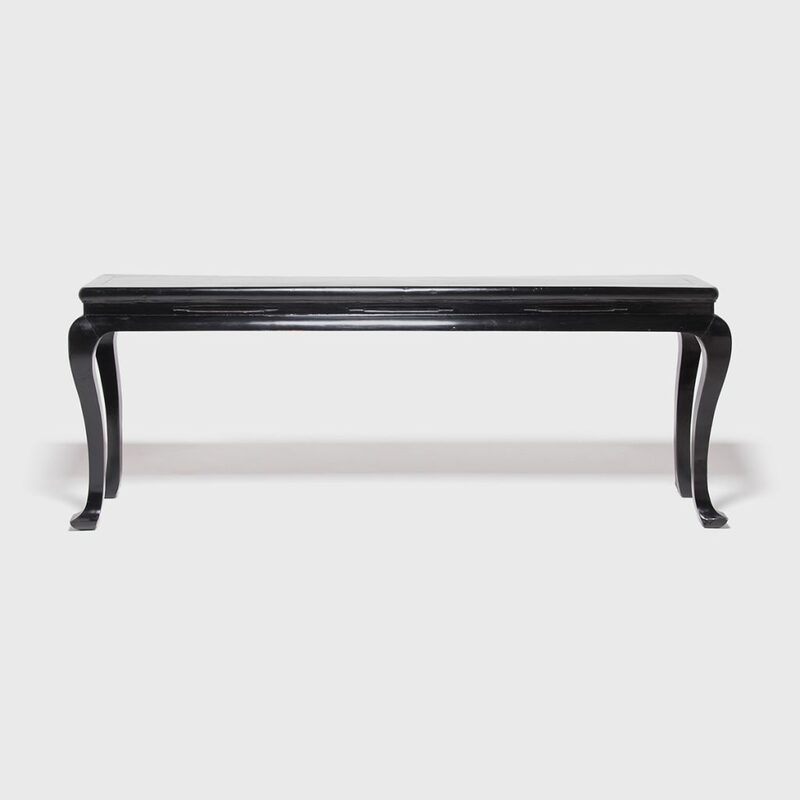 Constructed with traditional joinery techniques for a seamless appearance, the table was then painstakingly coated with layers of rich, black lacquer. Unembellished and clean-lined, the table is a wonderful example of the intersection of minimalism and craft that this look embodies. Carved over 250 years ago in China’s Shanxi province, the valances above are dotted with flower buds tucked inside ornate scrollwork. 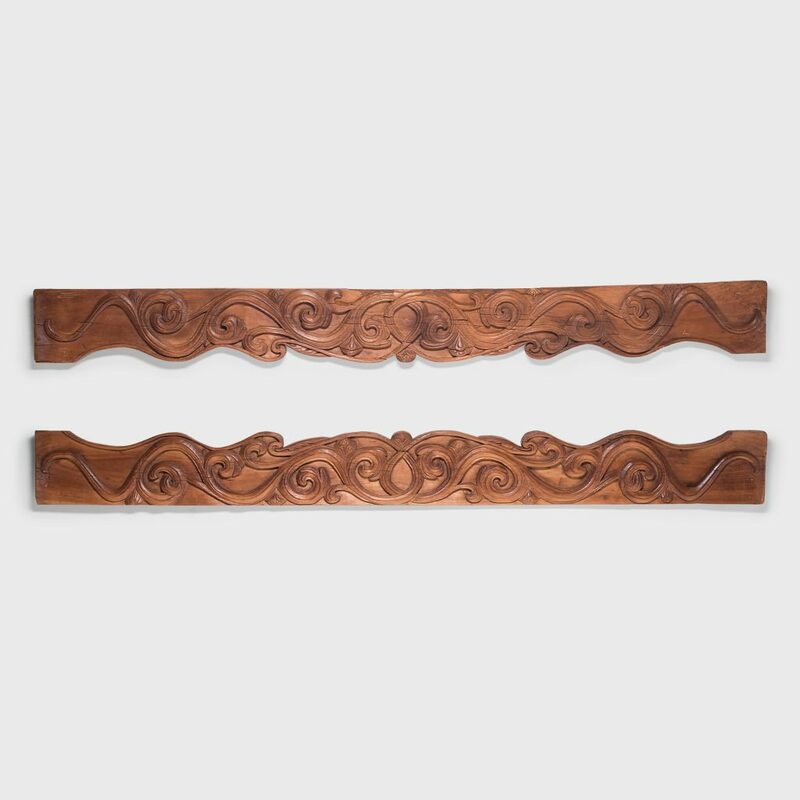 Despite their exuberant carvings, the valances offer a gentle elegance, making the pair a remarkable compliment to otherwise spare surroundings. Not many architectural elements of this size and age survived the Cultural Revolution, making them an exceedingly rare find. 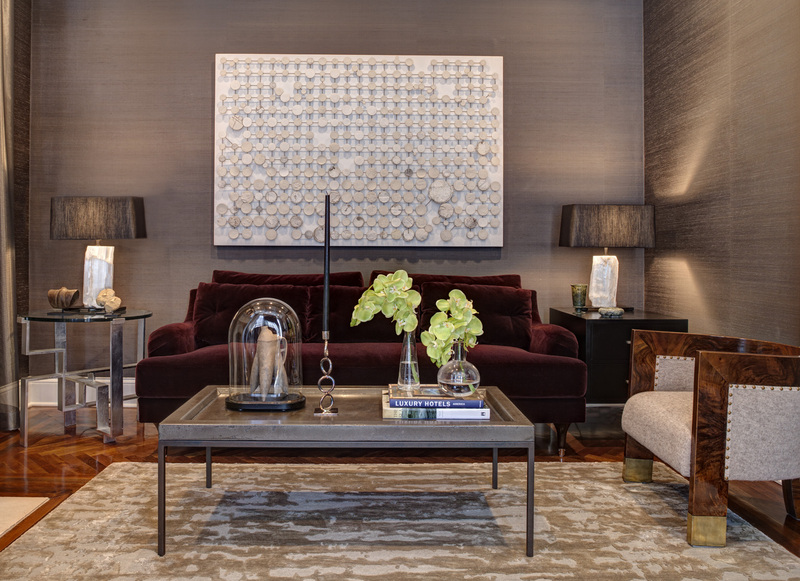 Many of the renowned designers we work with address each one of the senses in the rooms they create. Scent—once considered an afterthought or background element—is now having its moment in the forefront. Incense, aromatic herbs, and essential oils are growing in popularity as a way to connect interiors with nature and conjure unseen worlds. Ancient objects like incense bowls, braziers, censers and tables tap into the sense of ritual that accompanies scent. 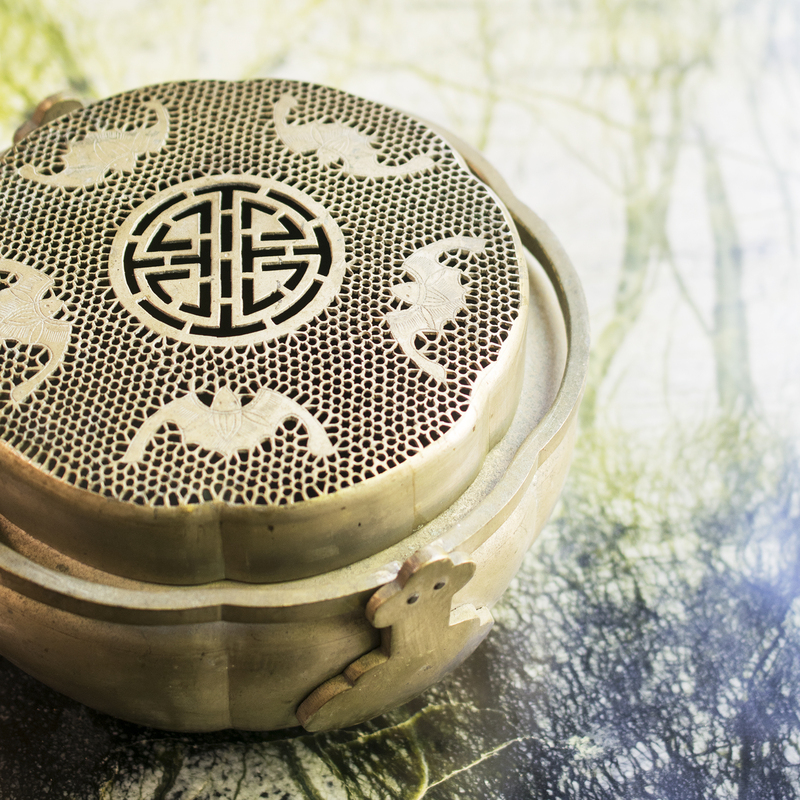 Once filled with burning coals to warm the hands of a wealthy woman in 1850’s Northern China, this exquisitely crafted brazier makes for a sophisticated incense burner today. The precisely pierced top, designed to emit heat, adds texture and dimension to the piece’s sculptural value. 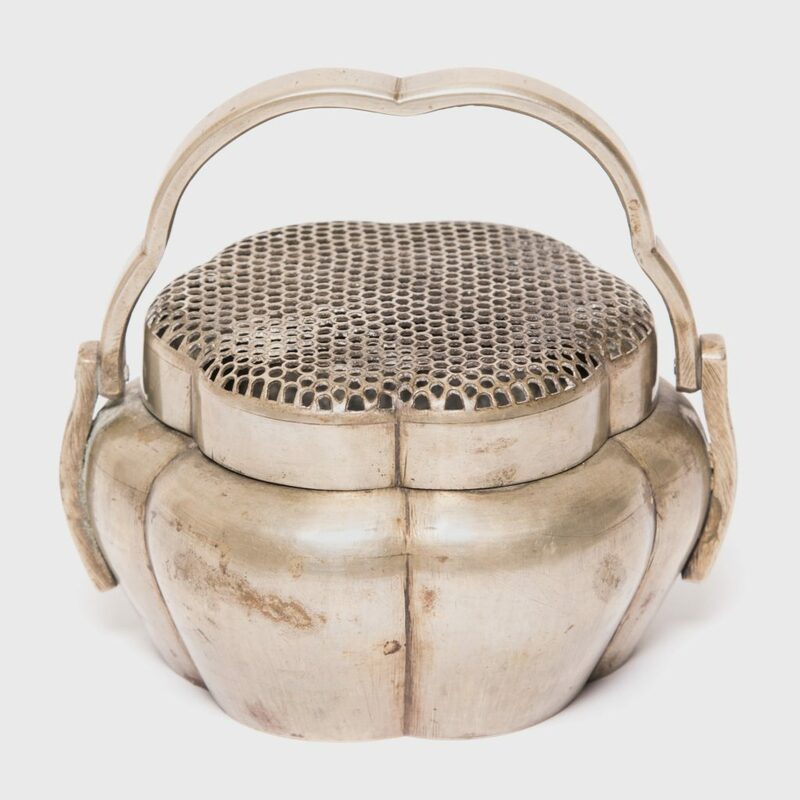 Gourd form braziers are particularly unusual, making this the beginning or continuation of a great collection. In more than 20 years of collecting, we’ve never encountered a stone top as distinctive as the one on this table. The undercut, decorative-edged top has aged exquisitely over hundreds of years. Originally, it was likely used for incense offerings, as limestone is scorch resistant. A crack to the stone has been restored beautifully, adding to the richness of its character. This Japanese art of repairing broken pottery using lacquer mixed with precious metals, feels so appropriate to our current time and place. Repair is celebrated, rather than thought of as something to disguise. In an age of division, it’s a helpful philosophy—damage cannot be undone, but it can also be an opportunity to create something new—perhaps more beautiful than before. We used this technique in the concrete floors of our new Bucktown gallery and studio, and it’s one of the details we notice and appreciate every day. 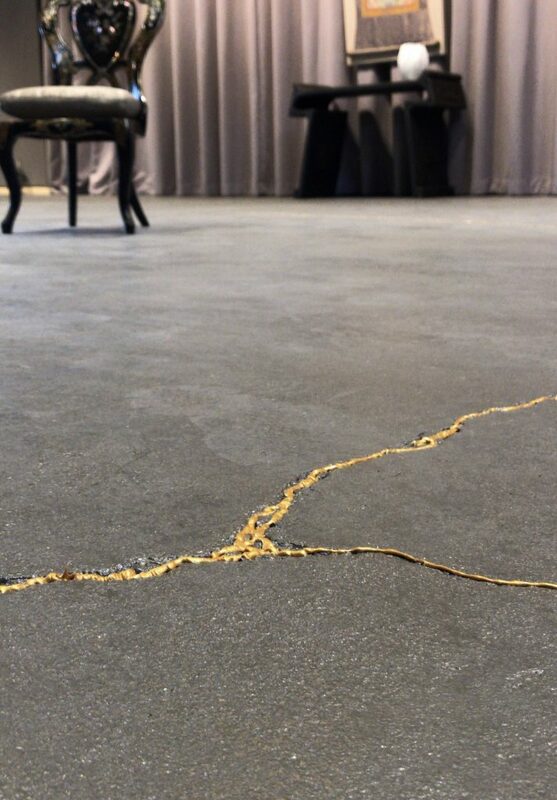 A view of the Kintsukuroi floor treatment in our freshly renovated “rough luxe” Bucktown space. 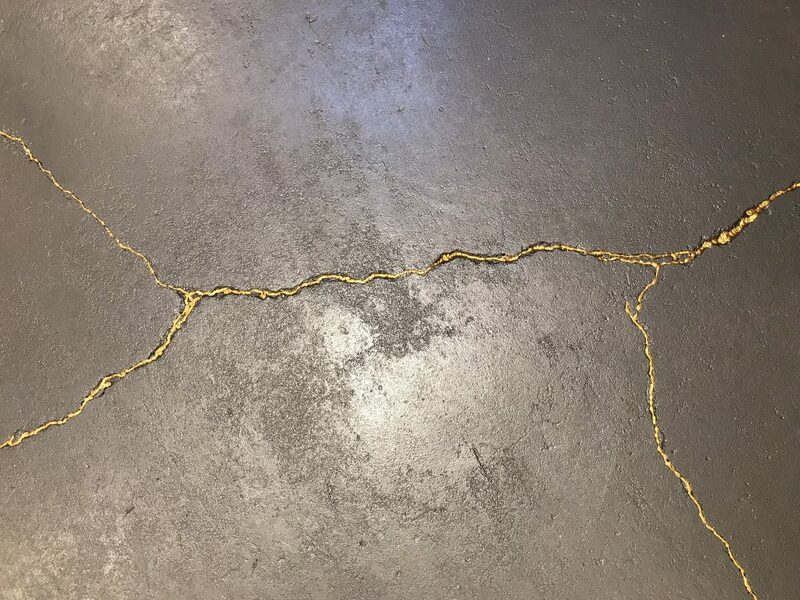 Another look at the Kintsukuroi floor treatment in our freshly renovated “rough luxe” Bucktown space. Want to see more? Shop Recent Acquisitions.